Oil is on the rise. At least it has been on the rise since late June. A barrel of West Texas Intermediate Crude (WTIC) would set you back $43 when we hit the summer solstice. The same barrel of WTIC would set you back $57 today. 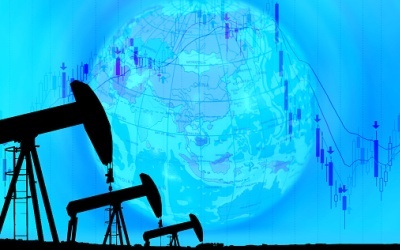 Schlumberger (NYSE: SLB) is as ready as anyone to exploit rising oil prices. Schlumberger is the leading provider of technology for drilling, producing, and processing to the oil and gas industry. Schlumberger provides the know-how and hardware for onshore and offshore energy explorers. Schlumberger is no one-trick pony. When prices trend the other direction, it’s as good as anyone at standing its ground. Energy prices plunged in late 2014 and early 2015, but Schlumberger was able to raise its dividend 25% to $2 per share. The Schlumberger dividend, with its 3.1% yield, is at the high end of the energy-services market. When drilling activity slumped to historic lows in 2016, Schlumberger managed to produce a net profit of $1.14 per share. Halliburton (NYSE: HAL), a key competitor, posted a $0.02 per-share loss. With oil prices trending higher, Schlumberger should put even more distance between itself and the competition. Nevertheless, few investors are takers. Schlumberger shares are down 23% year to date. The ongoing oil-price rally since has offered little relief. The shares are down despite the company reporting exceptional third-quarter financial results. Schlumberger’s revenue climbed 6% sequentially and 13% year over year to $7.9 billion in the third quarter. North American revenue was up 18% sequentially and 53% year over year to $2.6 billion. Much of the growth on the top line filtered through to the bottom line. Schlumberger posted EPS of $0.42, a 20% sequential increase and a 68% year-over-year increase. Many investors reacted to the quarterly numbers with a dismissive hand wave. Schlumberger shares dropped 5% after the numbers were released. Investors are put off by recent memory (low oil prices) and by the prospect that the immediate future is less fertile than the recent past. In the conference call with analysts following the release of the quarterly results, Schlumberger management noted that North America investment was moderating. The news was hardly music to investors’ ears when you consider that international growth has been more restrained than domestic growth. Baker Hughes (NYSE: BHGE) data show that there were 931 rigs operating in international markets in September — a three-rig decrease from the 934 rigs operating in the year-earlier period. Growth has yet to materialize in internationally. Schlumberger expects it to moderate domestically. Because of an expected reduced rig count in the United States and growth failing to materialize in international markets, Schlumberger shares trade near a five-year low. Good for us. I see opportunity. Schlumberger is more than North America, it’s the world. It’s more than onshore, it’s offshore. It provides oil-field services to exploration companies everywhere. Yes, international growth has yet to materialize, but that doesn’t mean it won’t. International deep-water drilling is particularly ripe for a rebound. With Brent Crude priced at $62, offshore drilling is again profitable. The potential to generate more profits over there exists. In a recent conference with sell-side analysts, Schlumberger management waxed positively on the outlook for global oil markets. Growth in oil demand, management noted, remains strong. On inventories, management believes the data are more positive than what’s being reflected in the market. Oil markets are down to only 64 days of forward demand coverage. Schlumberger’s share price fails to capture its true value. Investors are excessively pessimistic despite the 3.1% Schlumberger dividend yield. This is a big company with a big future. It’s also the biggest company with the biggest and safest dividend in its sector.